Sixth in a series of disorganized thoughts I am left with immediately after watching something. A few weeks ago, I was at Fry’s Electronics, looking through their movies. In the Children’s & Family section, I was somewhat amused to find Studio Ghibli’s grim “Grave of the Fireflies” wedged alphabetically between such fare as “Ferngully: The Last Rainforest” and “The Great Mouse Detective”. Ostensibly, it was created as a family-oriented feature, and in fact debuted on a double billing with the much much lighter “My Neighbor Totoro”. However, due to its harrowing depiction of the trials and tragedy of young war orphans struggling against starvation and societal collapse in the wake of the Kobe firebombings of WWII, it is very often reshelved under, say, drama. Think about that… a double feature of children dying during wartime, backed with “My Neighbor Totoro”, one of the breeziest, most cheerful, most fantastical fixtures of Ghibli’s catalog. Heck, recreate the experience at home! Watch them back to back, and I doubt you’ll come away from it thinking, “doing that was a normal kind of idea”. I’m guessing they showed Totoro second, kind of a dessert after the main course? But in my American upbringing, it’s basically, “no dessert until you finish your vegetables”. This is more like, “no dessert until you finish your vegetables, and I smack you around a bit”. I watched it in the original Japanese, which somebody was awesome enough to upload to Youtube (though the dub is up there too), and right off the bat you can tell this is gonna be a rough ride. The lyrics to the Japanese theme are along the lines of, “Chirin, I hear the sound of your bell, and it reminds me of quiet crying, the sound of all the world’s sorrow.” I freely admit to saying “oh my god” several times aloud while watching this, and the first was at that “whole world’s sorrow” line. The whole world’s sorrow, ladies and gentlemen! Chirin is a young lamb, innocent, playful, carefree. A lamb in the poetic as well as literal sense. He lives on a farm with his mother and a flock of other sheep. One day, he ventures too close to the fence surrounding the pasture, and his mother warns him about the wolf that lives in the jagged, imposing mountains beyond it. The wolf eats sheep, she warns, but Chirin doesn’t understand. Surely the wolf would just get a mouthful of fleece, so why would it want to eat them? Even in this early idyllic section, the film has an undercurrent of unease (certainly helped along by that theme song). The fiery light of sunset casts monolithic shadows across the field, and the sheep move with caution. If the movie were a song, it would all be in a minor tonality. For a time, though, life seems alright and the seasons pass in calm. Then, one blue autumn night, the wolf comes down from the mountains to hunt. Visually, the wolf is unsettling, being extremely gaunt yet powerful, with a red scar rushing down past one eye, and cast always in shadow. Dogs bark to signal his arrival, and the wolf bursts into the barn. Chirin is only partly awoken by the commotion, and the wolf sets its sights on him. Chirin’s mother throws herself atop Chirin and, with an on-screen effect like a lightning bolt trailing into smoke, is killed by the wolf. Some moments pass, the wolf leaves and Chirin frees himself, still tired and disoriented, from under the weight of his mother. He doesn’t immediately realize what’s happened, commenting drowsily that it’s good the wolf has left and hasn’t eaten them after all. Slowly, in one of the most brutal sequences in children’s animation, Chirin is confronted with the reality of the situation, and is offered no assistance or solace from the other sheep, who look on in some combination of fear, pity, and helplessness. It is that helplessness which spurs Chirin into further action, as he abandons the flock to seek out the wolf in the mountains. Why should a wolf kill a sheep?, he wonders to himself. Sheep never did anything wrong. Is it just because they are weak? Well then, Chirin decides that he will become strong, too, though the only exemplar he has to turn to in this regard is the wolf itself. Chirin does not fear or hate the wolf, he respects its strength. He is willing to leave himself, his sheep-ness, behind in the pursuit of this new ideal. The wolf (eventually) agrees to train Chirin, knowing full well that Chirin’s motivation is to eventually defeat the wolf. Over the course of the film, the wolf is less a character than a force, a manifestation of the kill-or-be-killed order of the natural world. It has no ulterior motives. Once it recognizes the drive within Chirin to surpass it in strength, it devotes itself to this goal. Whether the wolf believes that Chirin will fail or succeed in this endeavor, it may not ultimately matter. Training is rough, and Chirin is routinely battered and beaten, brought several times to the brink of death, but ultimately saved by the wolf. The force of nature carrying Chirin back from the edge time and again, it is metaphorical as much as literal. After Chirin has grown up under the wolf’s tutelage, he has taken on aspects of the wolf, becoming a creepy ram/wolf hybrid, with a lupine silhouette, long legs, and horns that instead of curling about in the usual ram fashion, point straight forward like daggers. He looks vaguely like the mythological kirin, except where the kirin is an auspicious sign associated with wisdom or leadership, Chirin (hey that sounds awfully similar, doesn’t it!) is a bad omen, representing amorality and predation. But, in trying to be both sheep and wolf at once, Chirin winds up being neither, a strange abomination unable to fill his ideal mold and unable to return to his original form. Which all comes to a point one night when the wolf puts Chirin to the ultimate test: a raid on his childhood farm. Leading up to it, Chirin is resolute and believes he will be able to execute, for the sheep are weak, and he is strong. They are the weakness he escaped from, and if he has truly become the wolf’s equal, then to look upon them will be like looking upon any other of their prey. However, once inside the barn where the flock is cowering, he sees one mother leap out to shield her child from Chirin, in a move that echoes Chirin’s own mother’s actions before her death. This echo of his past rattles Chirin, and he loses the will to kill the sheep. The wolf is still intent on doing it, though. Chirin, now filled with the urge to use his power to protect, rather than destroy, fights the wolf off. Ultimately, Chirin impales the wolf on his maladapted horns, to the wolf’s delight. It is satisfied that its death came from a truly superior being, but at what cost to Chirin? The sheep see him as a monster, and despite his pleas that this was the field he grew up on, that he is indeed still of them, they refuse to reintegrate with him, and so he remains apart. Never a wolf and no longer enough of a sheep, Chirin is an anomaly with no place. He does return to the wolf’s lair in the mountains, seeming to be now undergoing an existential crisis. But it is not one we will see resolved. Returning to the small pool of water that the wolf brought him to so many times before, Chirin believes he sees the wolf in the reflection, but turns to find himself truly alone as snow falls down from above. I guess he dies! A lighter movie would have had the sheep in the farm welcome Chirin back as a sort of prodigal son. Maybe a more compromising movie would have them reject Chirin but, him now feeling the honor in using his power for justice, would always be just beyond sight, serving as an invisible protector for the sheep. Maybe this is more a philosophical divide between Eastern and Western thought, about open-endedness vs. absolutes. I’ll have to go back and read some of the Japanese childrens’ stories anthologized in the pretty awesome books by Florence Sakade and see if I’m just off-track about it. 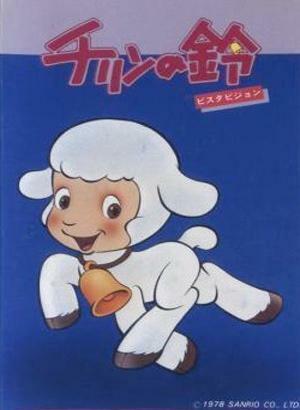 Still, I think we can all agree that, even amongst Japanese childrens’ media, “Ringing Bell” is uniquely dark, kind of a “Full Metal Bambi”. As for showing it to my own children, nieces, nephews… eh, not yet. Probably better to stick with Totoro for now. 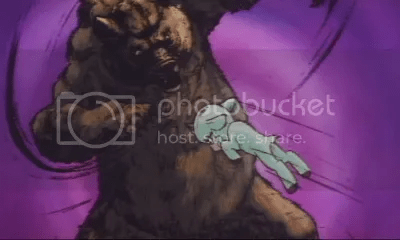 Though there was something I saw recently about Totoro that posits a much darker interpretation of the story, transforming Totoro from a spirit of the forest to a god of death–a shinigami–and that the two young girls who go on this magical adventure are actually both dead. Hmm. Fun times for reading! 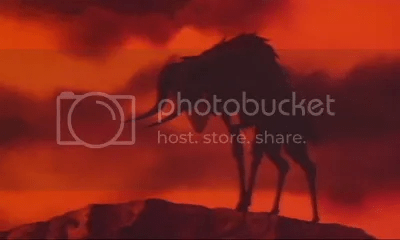 This entry was posted in So I Just and tagged 1978, anime, Bambi, children, dark, Grave of the Fireflies, Japan, kids, My Neighbor Totoro, revenge, Ringing Bell, Sanrio, sheep, wolf. Bookmark the permalink. I suppose exposing one’s child to that movie might be considered a good learning experience . . . on the other hand, maybe you should wait until the child is in his late twenties, like I did . . . .